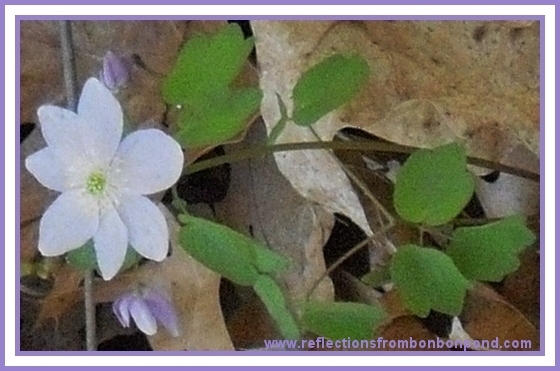 The first wildflowers of spring around the Bon Bon Pond woods are invariably the delicate and oh so lovely Hepatica nobilis. This dainty blossom is a small herb which grows from Minnesota to Maine, and all the way down to northern Florida. 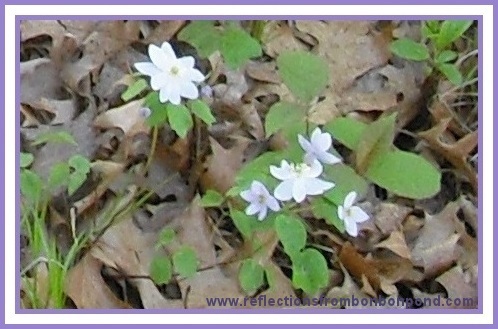 The flowers appear in hues of white, pink and the lovely light lavender that grow in the rich earth of my forest’s floor. A harbinger of seasonal change, they usher in spring in all her glory and are something to celebrate. Warmest Wishes for a Wonderful Weekend! Best Wishes for a Wonderful Weekend!